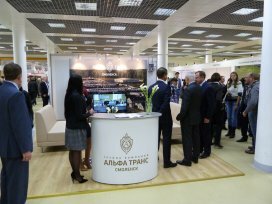 This year the exhibition will be held under the slogan "25 Years of the Russian Customs: advanced technologies, efficiency and partnership". During the exhibition there will be displayed the latest developments in the sphere of customs process, progress in improving of foreign trade activity mechanisms, their compliance with world standards. 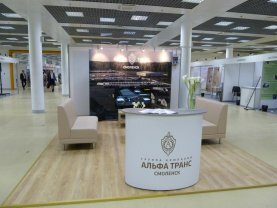 We invite you to visit the stand of the Alfa Trans Group, which will be located in hall №5 in front of the entrance to the 6th room. Moscow customs forum traditionally attracted many visitors from foreign countries. Representatives from Azerbaijan, Armenia, Belarus, Kazakhstan, Kirgizstan, China, Latvia, Finland, Estonia, etc took part in the exhibition’s work. There were more than 100 exhibitors, among which there were participants of the foreign economic activity, customs representatives, cargo carriers, temporary storage warehouses’ and customs warehouses’ owners, construction and logistics companies. Traditionally within the frameworks of the exhibition there was held the contest called Customs Olympus – a sort of a certificate of quality of services provided in the customs sphere. The Alfa Trans Group became the winner in the nomination “The Best Customs and Logistics Terminal”. Aleksey Ostrovsky also arrived at Stabna customs terminal – the leader in introduction of new customs technologies. 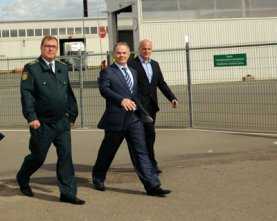 The head of the region visited customs and logistics terminal created as part of open-type temporary warehouse OOO Alfa Trans Terminal and underlined a constructive cooperation between the Smolensk administration of Federal Customs Service and Alfa Trans: “Alfa Trans is the key operator in the market of logistics services. It provides a lot of work places and to some extent is the face of our region. 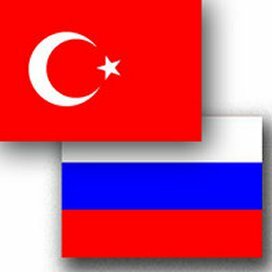 Many freight forwarders start their acquaintance with Russia from your company, from the way you provide customs services. It means that investment attractiveness directly depends both on the Federal Customs Service and customs brokers”. The Walk’s project, supported by the administration of the region, was worked out by the President of the regional department of the Russian Designers’ Union and implemented by joint efforts of OOO Alfa Trans Trans, Military & Memorial company and OOO Memorial. Addressing the public gathered to honor the event, Aleksey Ostrovsky underlined that the Walk of Heroes opening is an impressive example of concordant collaboration of the authorities, community and business. 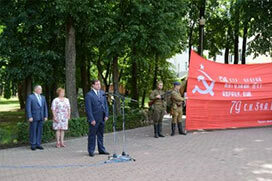 He was accompanied by the Federal inspector of Smolensk region Aleksey Bryliov. 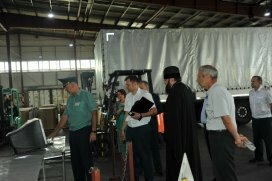 The purpose of their visit was familiarization with the work of customs as exemplified by Stabna customs terminal and The “Alfa Trans Terminal” warehouse. 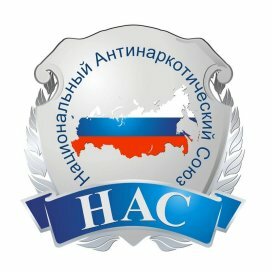 The President of Alfa Trans and member of the International Veterans Association of the Alfa Counterterrorism Unit Oleg Tankov will participate in the International Counter-Drugs Event “United by Life!” organized by the National Counter-Drugs Unit in Sochi on May 22-27, 2015. 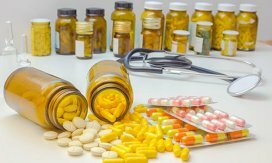 The International Counter-Drugs Event is a unique social project. Thousands of recovering drug addicts from Russia, Belarus, Israel, Germany and other countries are coming to Sochi. Besides, there will gather doctors, psychologists, experts in the sphere of social rehabilitation, social and political figures. Being part of the rehabilitation program, the event is also a huge discussion platform for drug prevention and promotion of healthy lifestyle issues. Alfa Trans Terminal ltd. started performing customs clearing of pharmaceutical products according to license No. FS-99-02-004291 of November 27, 2014. Starting from 2011 the exhibition is an official forum of customs services of the CIS countries and member countries of the Customs Union. Mr. D. Medvedev, Chairman of the Government of the Russian Federation, visited the exhibition during the first day. Besides, Mr. G. Rapota, Secretary of the Common State of Russia and Belarus, and Mr. A. Beljaninov, Head of the Federal Customs Service of the Russian Federation, took part in the exhibition’s work and visited the stands of all participants, including the stand of the Alfa Trans Group. 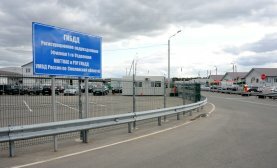 Stabna customs terminal, where Alfa Trans Terminal ltd. is situated, is included in the list of warehouses of temporary storage which are participants of the project “Green channel” implemented by the Russian and Turkish customs services (letter of the Federal Customs Service of 25.09.2014 No. 01-11/45831). As a result there were determined the best teams of the customs authorities of the Russian Federation in 2013. 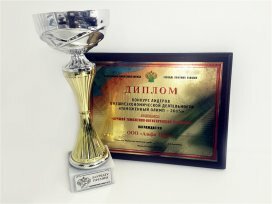 Stabna customs terminal of Smolensk customs service, situated in the territory of the warehouses for temporary storage of Alfa Trans ltd., won the second prize in the nomination “The best inland customs terminal team in 2013”. 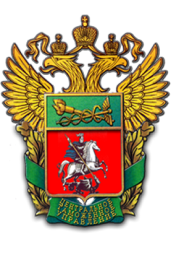 The Central customs management of the Federal Customs Service of Russia pronounced Alfa Trans ltd. the best customs and logistics terminal in the Central federal area. 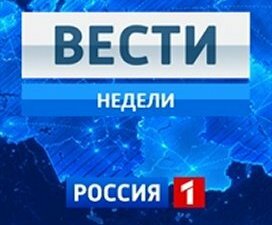 The Central Customs Administration of the Federal Customs Service of the Russian Federation have summed up the results of the customs authority best team contest. Following the results of 2013 Stabna customs terminal situated in the territory of the temporary storage warehouse Alfa Trans Terminal ltd. was pronounced the winner in the nomination for the best team of the inland customs terminal. 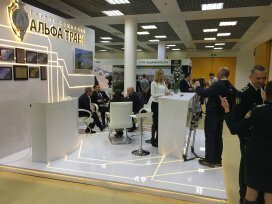 The exhibition was traditionally held on the eve of the Customs Officer Day of the Russian Federation and demonstrated all the achievements in the customs business. Visiting Alfa Trans Group stand one could get acquainted with modern customs technologies used by the company during customs registration. The Alfa Trans Group management took part in the annual meeting of the German SME association Global Partners Bayern, which was held on April 12th 2013 in the city of Ising (Germany). In the course of the event the Stabna project was presented to its participants, as well as the film most vividly demonstrating its investment potential. German businessmen could become familiar with the conditions of economic operation in Smolensk region & peculiarities of location of production & warehouse facilities in the territory of Stabna complex. The presentation of Smolensk region economic potential took place in Berlin on the 21st of February 2013. During the presentation the Alfa Trans Group introduced its investment project – Transport and Logistics Industrial Complex Stabna. A detailed information concerning the event you can find on the official site of the administration of Smolensk region. 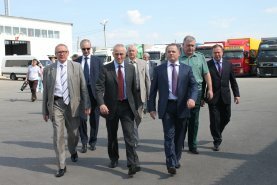 On the 22nd of May the State Secretary of the Union State Grigorii Alekseevich Rapota visited the Customs-Logistic Terminal of "Alfa Trans" Group of Companies situated in Smolensk district. More information about this event at the official site of the Union State. 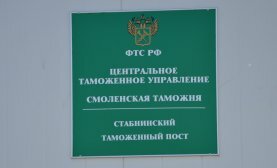 The workers of the Stabna Customs Station (the Smolensk Customs of the Central Customs Department of the Federal Customs Service of Russia), situated on the TSW "Alfa Trans Terminal" territory, proved their professionalism having won the first place in the competition hold by the FCS at the end of year 2011. 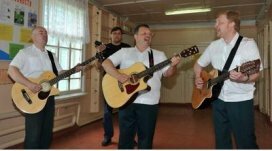 They gained the victory as "The Best Collective of the inner customs station" which is recorded by FCS Order № 300 from February 20, 2012. Our clients can be sure that we are working with the best customs officers. 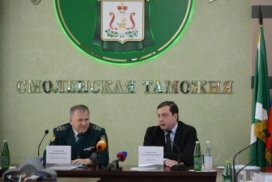 The Governor of the Smolensk region congratulated the customs offices on professional achievements. 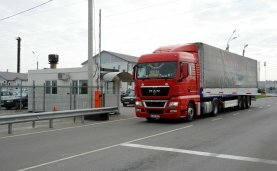 From the 1st of March, 2012 our clients can fulfill the customs clearance of goods placed on the TSW “Alfa Trans Terminal” using the “remote clearance” technology at any customs body of The Russian Federation authorized to register customs declarations on the basis of Russian FCS order № 845 dated as of April 22, 2011. Reference information on customs clearance using the “remote clearance” technology: +7 910 713-03-37 (24-h). 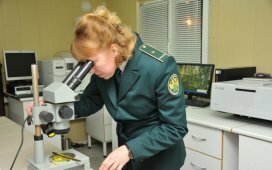 For clients' convenience of the Smolensk Excise Station of the Central Excise Customs the reestablished inter-district Department for State Motor - Vehicle Inspection and Registration - Examination Work of the State Traffic Safety Inspection, the office branch #1, began to work. It well-situated close to TSW OOO "Alfa Trans Terminal", address: Zaozernaya Street, 35, Stabna village, Smolensk region, Smolensk district. Motor-vehicle deregistration and registration takes one day.